So, you love your iPhone, iPad or iPod touch but don’t have the cash to spend on apps? 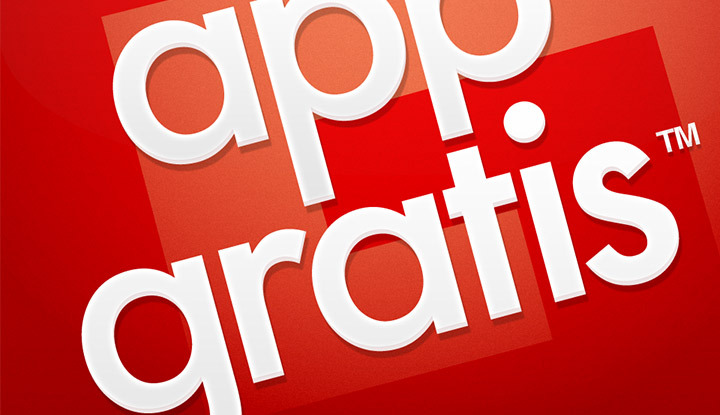 AppGratis is what you need. The concept is simple. I talk to developers everyday, asking them to make their app free for 24 hours. I’ve had the app installed for about a week now and while I haven’t seen any huge apps (read: over $10) come down to the free price range for a day, the app does deliver. 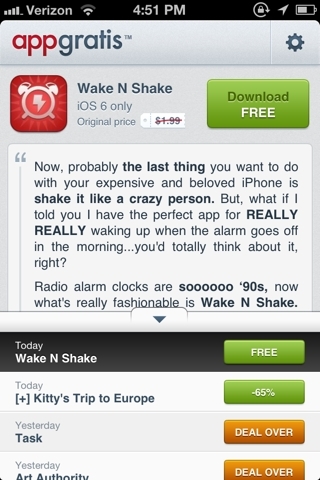 One app a day is free, and there’s usually another app offered at a discounted price. Some apps are iPad only, others have strict iOS requirements, such as iOS 6 only. But you can’t beat a free app offering other free and discounted apps. The best part? There’s no signup process involved. Just download, enable PUSH notifications so you don’t miss a deal, and enjoy the deals. Note: The app is currently native to the iPhone/iPod touch, but will run on the iPad as well.